First I want to apologize if this is in the wrong area but i'm sure with the popularity of this emulator grows guides like this might be needed so why not just make it now so it makes life easier for everyone. 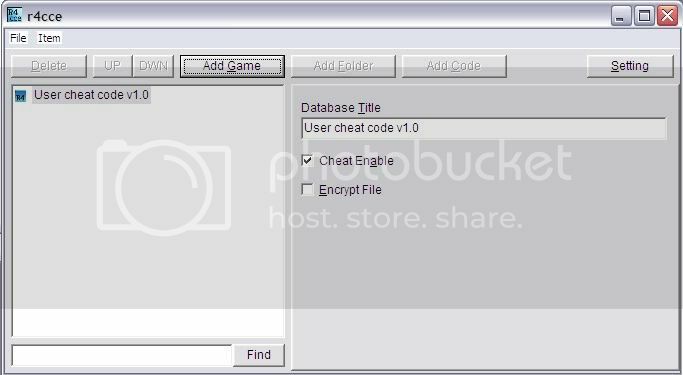 This guide is designed to show you how to add cheats to be used on DraStic and it only requires several programs and a little patience. Also this isn't a request thread so if you want a certain cheat code then please look elsewhere. Please download the the files required and be sure to make a backup of them incase you lose something. You need R4CCE.exe so be sure to download it if you haven't already. 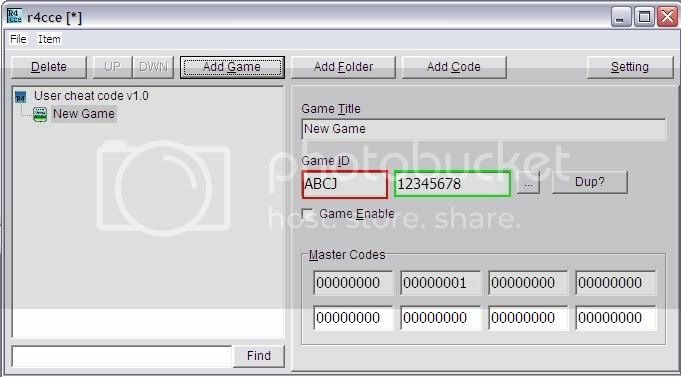 This program is used to finding the GAME ID for the ROM that you want to add cheats to. 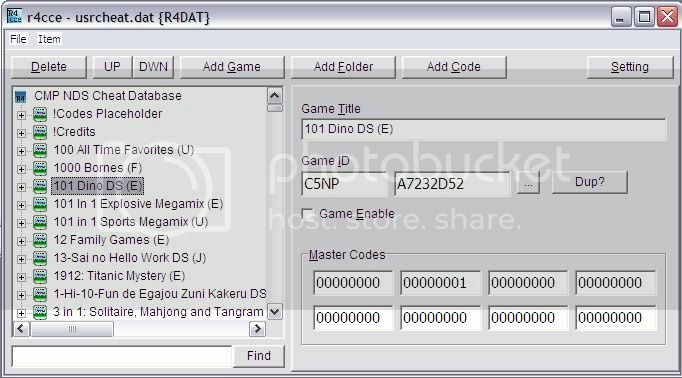 Its also the program that you'll be using to edit usrcheat.dat or cheat.dat, depending on which of the 2 DATs that is usable but I think only usrcheat.dat can be used with DraStic. 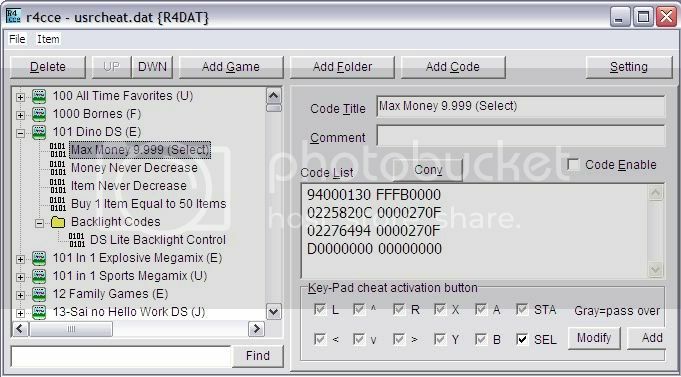 After this all you need to do is have the cheat you want then paste it in the box under "code List"
If you wish to make it cleaner then you can put them in folders by selecting "Add Folder"
All you have to do now is load up DraStic and your game and select your cheat. This guide is a work in progress and I made this as quickly as I could so it can help anyone who needs it and I will go back and typeset this later to make it cleaner with screenshots for the on phone section as well since i'm quite busy at the moment, also keep in mind if your cheat doesn't work then the game will either crash or nothing happens, be sure to check your game region when finding your codes. Just a request but if this could be stickyed then it would be much appreciated since it would help those. Last edited by Neptune on Mon Aug 19, 2013 5:40 am, edited 1 time in total. Nice post! Thot this will be another one of those bemoaning on how to add cheats. Thanks as we can use this for reference. Jay Haru wrote: Nice post! Thot this will be another one of those bemoaning on how to add cheats. Thanks as we can use this for reference. Just thought I help out a little since usually I see threads asking how to do X and then having people repeat the same thing over and over. If you want to see more guides then feel free to tell me and i'll do my best to make them. Thanks so much, I'm gonna direct all noobs to this thread.. Awesome job! Thank you very much. Adding to the FAQ and stickying. Isn't there an easier method like entering it directly using copy paste from phone? Its really painful to connect to PC, add a cheat, play, add another if you need! danishdhanshe wrote: Isn't there an easier method like entering it directly using copy paste from phone? There isn't yet, but it is something we'll be adding later. Right now this is just a workaround. I'm currently exploring a third party method to do this but so far there isn't any. If its okay with you then when the feature is implemented i'll update the guide and add it in as another method of adding, if not then thats okay since I made this really just to help others. Sorry if my English is bad, I'm French !